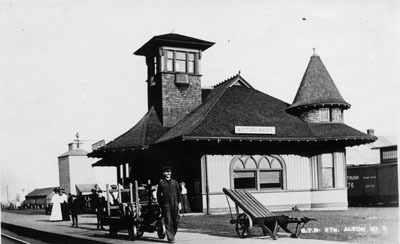 Grand Trunk Station in Acton. Note the roof of the Beardmore Warehouse in the background. The Acton train station shown was erected in 1908 and the Beardmore Warehouse (now the Olde Hide House) was erected in 1899.